MSP Joan McAlpine has paid tribute to the Armed Forces community ahead of Armed Forces Day. The SNP MSP attended a Flag Raising Event at the Tolbooth in Sanquhar at the invitation of Mid and Upper Nithsdale Community Council. “It was an honour to attend Monday’s flag raising event and I thank the community council for its warm invitation. 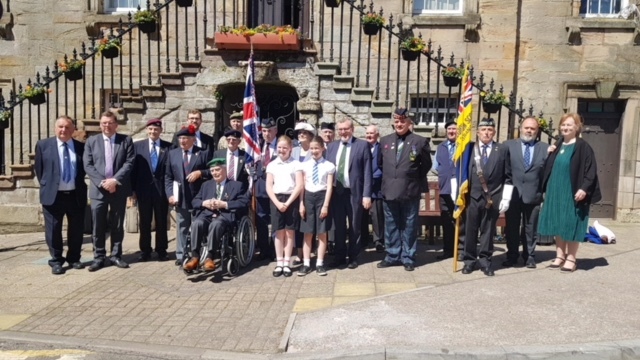 “Dumfries and Galloway as a region has a positive record in supporting veterans – and indeed is considered a leader in Scotland in terms of caring of retired service men and women.